Arista 2 is a comfortably furnished, 3 bedroom 2 bathroom self-catering unit ideal for family getaways. This beachfront unit is on the ground floor and has stunning sea views. The fully equipped kitchen/lounge/dining area is open plan. The main bedroom has a queen-size bed and an en suite bathroom and sea views. The second and third bedrooms have two single beds each. All rooms have ceiling fans. 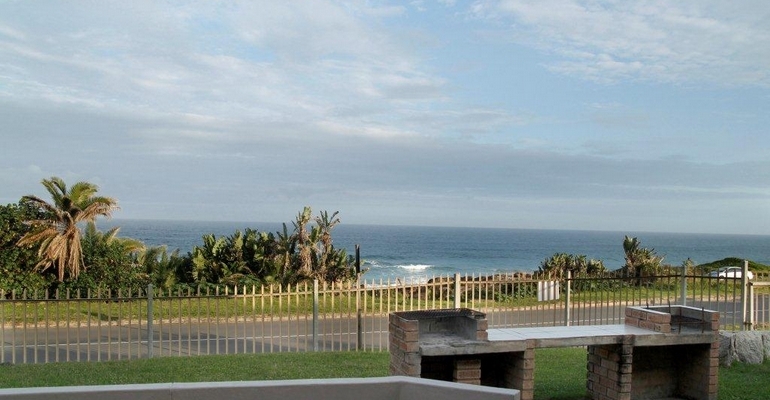 There is a lovely braai area and a veranda where you can enjoy the beautiful sea view. Pop across the road to take advantage of the excellent fishing spots or take a short walk to the popular, Blue Flag Lucien beach.